George Herbert Piercy (Service no. 55539) enlisted for the First World War with a Peterborough Street address. The Piercy family, in the form of George Herbert’s grandfather also called George, arrived in Canterbury on the Egmont in December 1856. George Senior was involved in early Christchurch life through his place on the committee of The Christchurch Mechanics Institute, his membership in The Albion Cricket Club and his joint ownership of the former Gould & Miles general store on Colombo Street. George Herbert’s father Frederick William followed the family retail tradition and was a grocer. He married Julia Florence Bodger in 1888 and they had two sons Frederick Reginald and George Herbert. Frederick was born in 1889 and George Herbert on 17th of September 1892. The Piercy family lived at a variety of addresses for many years on Peterborough. They finally settled at 142 Peterborough Street and both boys appear to have attended the Normal School at Cramner Square. From Peterborough Street George Herbert went skating at nearby Hereford Street and notably won best comedy character at the Olympia Rink skating carnival in June 1912! Employed as a post office telegraph clerk, he played full-back in the annual Christchurch versus Dunedin Post and Telegraph Juniors team in September 1911. He also trained with the Postal and Telegraph Territorial’s unit in Christchurch. Initially George Herbert appealed for exemption from military service. In May 1917 he appealed on the grounds of hardship due to special family circumstances. Although sympathetic the board dismissed his appeal. The chairman remarked that they “sympathised with him very sincerely”. Quite what those circumstances were is unknown. He finally enlisted with The Canterbury Infantry Regiment in May 1917 and his medical indicated Class A health. George Herbert left Wellington for overseas service with the 29th Reinforcements in August 1917 and disembarked in Glasgow before leaving for France in November. Made a Lance-Corporal in January 1918; by February 1918 George Herbert was ill with suspected severe pneumonia. He was eventually transferred to England and admitted to the King George Military Hospital on Stamford Street, London. He had in fact contracted tuberculosis. George Herbert was treated in hospital in Englandfor several months before being transferred to the New Zealand Diesel Depot in August 1918. He finally left for New Zealand from Plymouth on the 9th January 1919 on the troopship Ruapehu and was discharged in New Zealand as unfit for further service. The electoral rolls for 1919 list George Herbert as being at the Cashmere Sanatorium where he was receiving residential treatment for his tuberculosis. As a returned serviceman he was probably at the Military Sanatorium which was described by doctor and local historian Francis Oswald Bennett as “a dismal affair”. 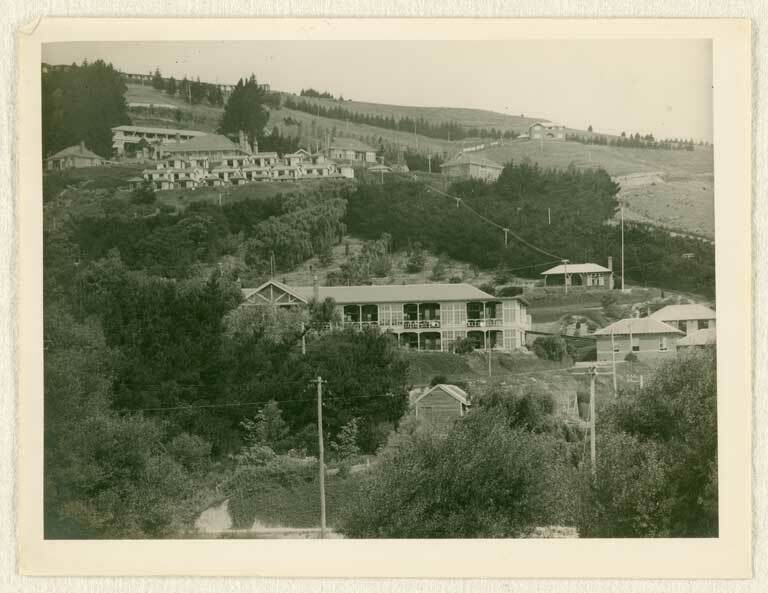 Built in haste and on a budget the sanatorium was opened in July 1919 and eventually extended to 100 beds. Online Cenotaph record for George Piercy. Auckland War Memorial Museum.